Thank you to our amazing volunteers who have donated their time and put in so much hard work on the farm. Creating this food system wouldn't be possible without the community of people involved in this project. 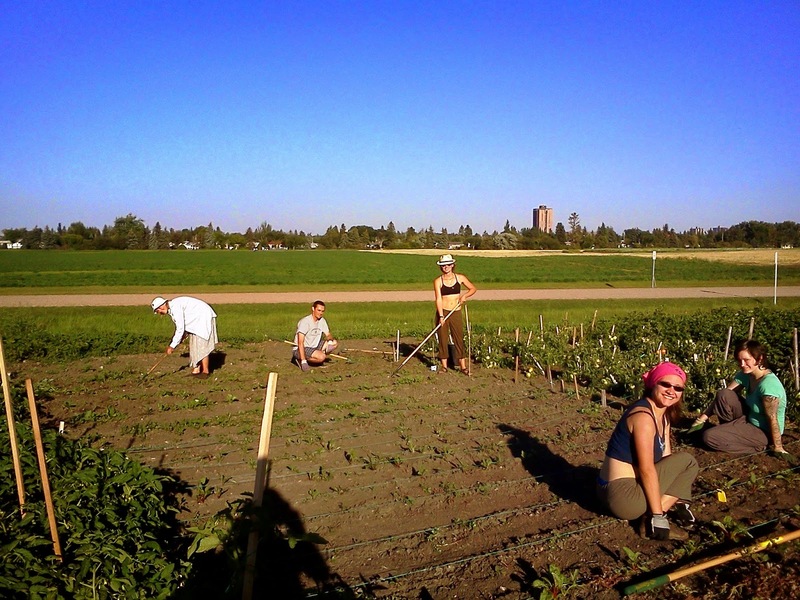 Prairie Urban Farmers weeding the newly planted beets. Also, a big thank you to those who have donated to Prairie Urban Farm so far. Kuhlmann's Market Garden for being the first donor in our Adopt-a-Tree program! U of A's Devonian Botanical Garden for donating their time, greenhouse space, knowledge, and plants! Thank you for your partnership in this project. Green and Gold Garden for their mentorship.